The four-storey, 1946.5m2 Woden Centre is strategically located. Photo: Supplied. A key mixed-use commercial building in the Woden Town Centre is on the market and expected to attract keen interests from investors. The four-storey, 1946.5m2 Woden Centre at 20 Bradley Street, Phillip is strategically located, adjoining the Woden Bus Interchange and the Westfield Shopping Centre. Associate Director of Investment Services at Colliers International, Matthew Winter said the property had 100 per cent occupancy and a diverse list of tenants including national businesses such as IMB, Aussie Home loans, Red Cross and Workways Australia. “There are limited on-market opportunities of this nature available for sale in Canberra at present, particularly with such significant street frontage and adjoining an entrance to the Woden Westfield Shopping Centre,” Mr Winter said. The property was built about 1976 but has been refurbished recently to modernise it. 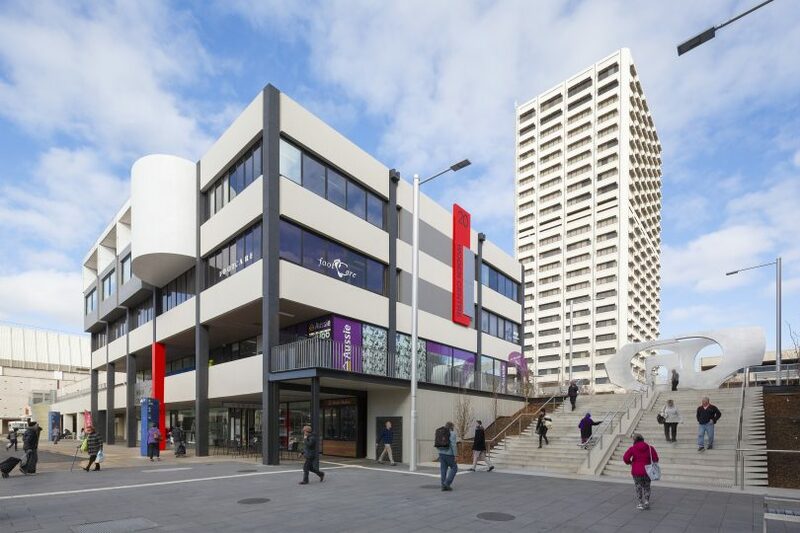 Colliers says it still presented further opportunities for purchasers to add value by extending current leases, managing building outgoings and capitalising on the improving market conditions within the Woden Town Centre. He said there also may long-term re-development prospects given the triple street frontage, CZ1 (Core Zone) zoning and rectangular shaped 732m2 site area. “We’ve seen unprecedented buy-side demand from local and national investors looking for quality commercial assets with long-term value-add upside, particularly within key locations,” Mr Winter said. The property is being sold through Expressions of Interest that close on Thursday, 6 September 2018 at 4 pm. Colliers International Canberra is the selling agent.